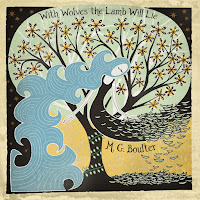 With Wolves The Lamb Will Lie is M G Boulter’s second full length album release, following 2013’s The Water And The Wave. Relocating this time from the shores of the Thames Delta to the peak district of Sheffield, Boulter has worked closely with award-winning producer Andy Bell (Bellowhead, Seasick Steve and Teenage Fanclub, as well as BBC Folk Album of the Year 2014 winner) to produce an album of lyrical depth and quiet brilliance. 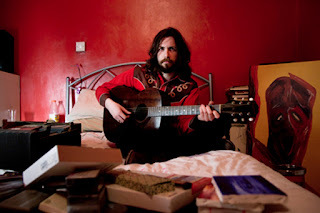 As with former projects, Boulter has surrounded himself with an array of musicians from different genres to help create his music: here one finds Ben Nicholls (The Full English, Seth Lakeman), Toby Kearney (These New Puritans), Sheffield songwriter Neil McSweeney and folk artist Lucy Farrell, among others. The weird and wonderful coastal characters that inhabit Boulter’s songs feature again here, from the drunk down-and-out who has illusions of being Ernest Hemingway’s reincarnation in ‘Sean or Patrick’, to the fatalistic smoker father in ‘His Name Is Jean’. 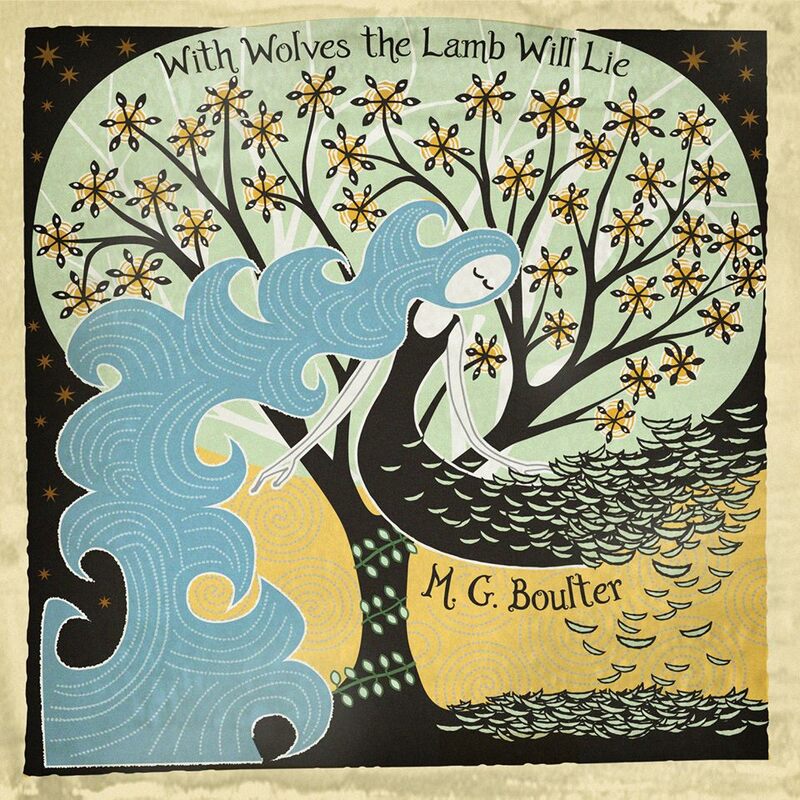 With Wolves The Lamb Will Lie reaffirms M G Boulter’s ability to conjure up compelling stories and mesmeric musical arrangements. 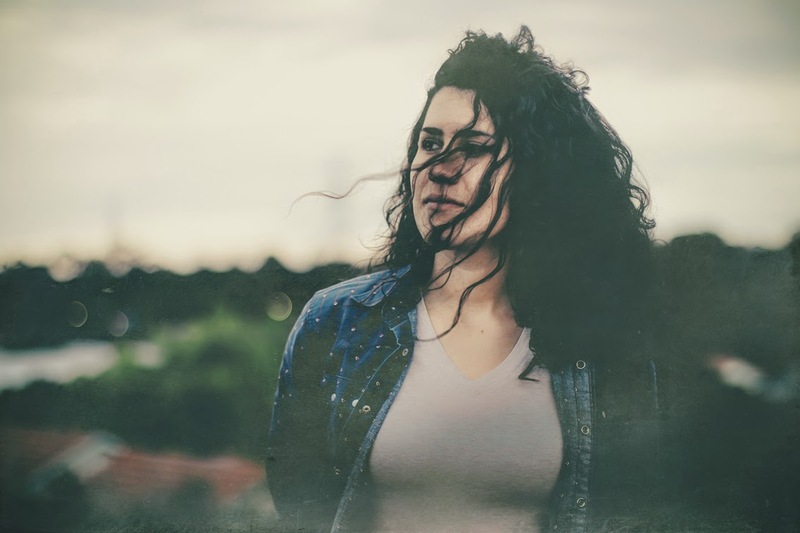 M G Boulter is a singer, songwriter and musician based on the Thames coast in England. Since 2009 he has been the principle songwriter and lead singer of roots rock band The Lucky Strikes and is a much sought after session musician who has toured with The Duke and the King, Simone Felice and Blue Rose Code, as well as recording with Dirk Powell, Rosalie Deighton and Vera Van Heeringen among many others. He released his first solo record in 2013 titled The Water Or The Wave and an EP in 2014 with Scottish singer Samantha Whates called The Boatswain’s Manual. He has most recently been touring as a member of BBC Folk Award-winner Emily Portman’s band. Praise for The Water Or The Wave…. Roots-rock and country-punk from the badlands of the Thames Delta! The marshy hinterlands of South Essex have proved a fine breeding ground for bands over the past few decades. A wilderness where scores of musicians can practice their craft in isolation, giving them a distinct edge unlike their urban counterparts; from Dr Feelgood, Kursaal Flyers and Eddie & The Hot Rods to The Horrors, These New Puritans and The Lucky Strikes. 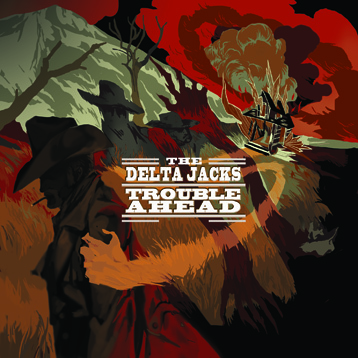 It stands to reason that The Delta Jacks’ debut album will follow suit. 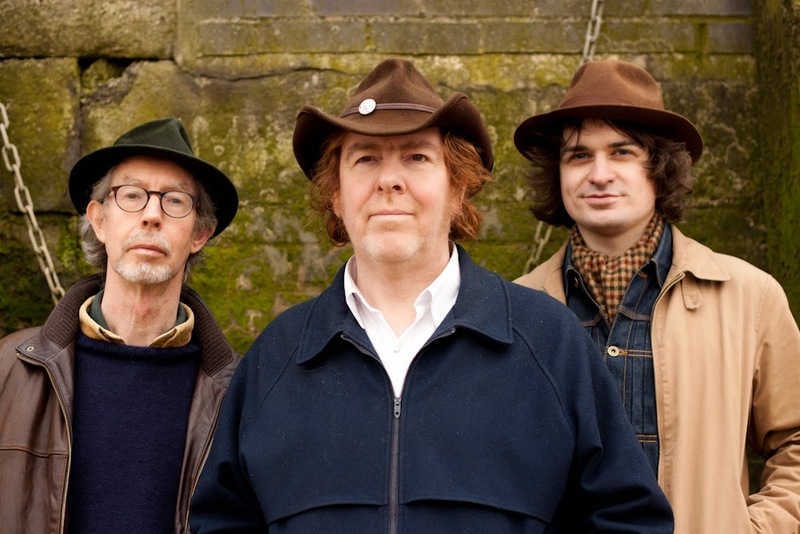 Formed in 2011, the band earned their spurs on the UK Americana circuit, saddling up and heading for The Smoke for gigs at such illustrious roots venues as the 12 Bar, The Gladstone and Camden’s Lock Tavern, as well as regular airplay on Resonance FM’s long-running Bonanza show. In that time headline shows have been interspersed with high profile support slots with the Jim Jones Revue, The Lucky Strikes, Mudlow and Son Of Dave. Releasing their debut self-titled EP in 2013, over the past year the Jacks have been putting the finishing touches to their first full-length album Trouble Ahead at Church Road, Ford End and Broom Cupboard studios. The result is eleven barely-tameable tracks of banjo-infused hillbilly rock, destined to appeal to fans of Johnny Cash, Legendary Shack Shakers, Slim Cessna’s Auto Club, Violent Femmes, Cormac McCarthy and Zane Grey. 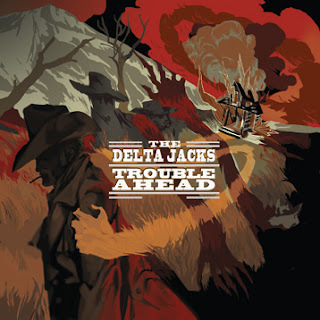 Delta Jacks are: Dominic Bauers – drums and backing vocals; Greg Beager – bass, keyboard and backing vocals; Ryan Bradshaw – lead vocals, rhythm guitar and harmonica; and Trevor Reeves – lead guitar, banjo, mandolin and backing vocals. The Delta Jacks play an official album launch at The Asylum, Chelmsford on Saturday 31 October, with support from The Lucky Strikes and Southern Generals. Pioneering record label celebrates its first decade! First launched ten years ago with the Fruit Machine compilation, London label Blang Records was born out of the monthly Blang nights at celebrated West End venue, The 12 Bar Club. Now a decade on, the label celebrates this significant anniversary with an 18-track compilation of their favourite artists along with not one but two birthday parties on consecutive Thursdays back where it all started (nearly) at the (newly relocated) 12 Bar! Started by label supremo Joe Murphy and his Sergeant Buzfuz project around the dawn of the century, the Blang nights were then labelled after burgeoning ‘antifolk’ scene, which had spread wings from New York’s East Village, bringing with it the likes of Jeffrey Lewis and Moldy Peaches and a penchant for punk-folk storytelling with edge and humour. Blang was the first club night in London to embrace this vibrant scene and word spread like wild hot cakes. Alongside Buzfuz, other homegrown acts like Filthy Pedro, David Cronenberg’s Wife and Malcolm Kaksois would follow under the antifolk banner, but by the time of the Fruit Machine compilation – a response by Murphy to a suggestion from The Band Of Holy Joy’s Johny Brown – it was clear that such a heading was inadequate for the diverse joys that Blang had to offer. 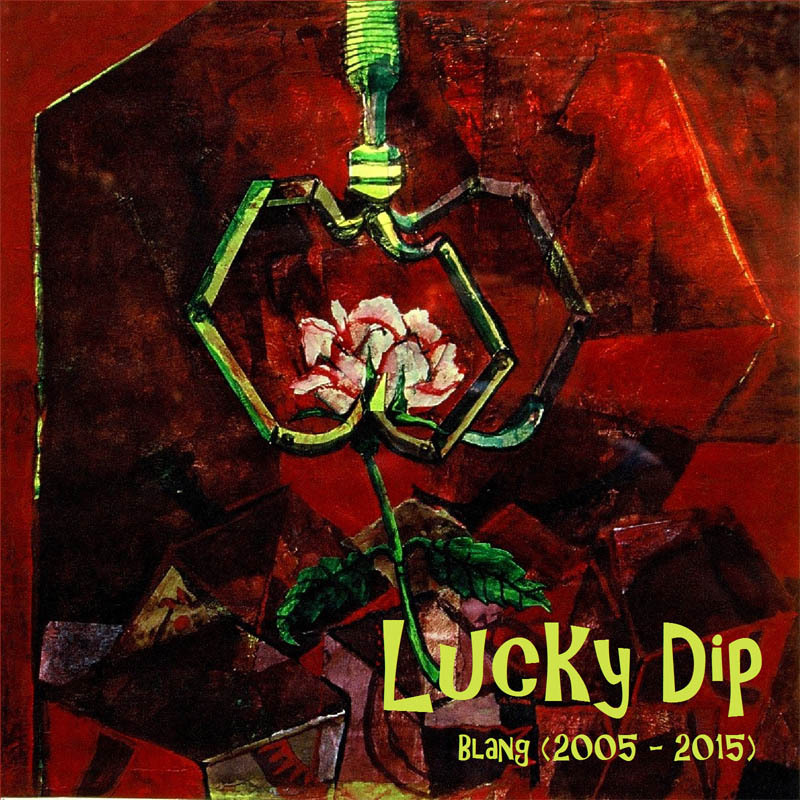 And diversity is the key to Lucky Dip – within its grooves you will find both folk and antifolk, along with punk, funk, rock and hip-hop. Buzfuz, Pedro, Kaksois and DCW are here of course, plus contributions from indie chart stars Milk Kan, Sheepy, Thee Cee Cees, Emily Capell, Paul Hawkins & The Awkward Silences, Lucy’s Diary, Dexter Bentley, Slate Islands, Matt Dolphin, Thomas Truax and more. A veritable roll-call of the great, the good and the glorious. 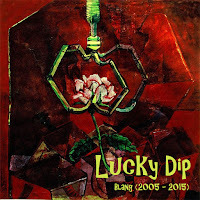 The first of Blang’s 10th Anniversary events – Lucky Dip 1 – takes place on Thurs 1 October and features Matt Dolphin, Slate Islands, Lucy’s Diary, JJ Crash, Sergeant Bufuz and David Cronenberg’s Wife. Lucky Dip 2 on Thurs 8 October features Malcolm Kaksois, Emily Capell, Scrappy Hood (of Milk Kan), Thomas Truax, Paul Hawkins & The Awkward Silences and Eugene Ripper. Both events take place at The 12 Bar Club, 203 Holloway Road, London N7 8DL. Door 7pm. £5 entry includes a FREE Lucky Dip CD. THE BRAINIAC 5 SET TO EXPLODE! 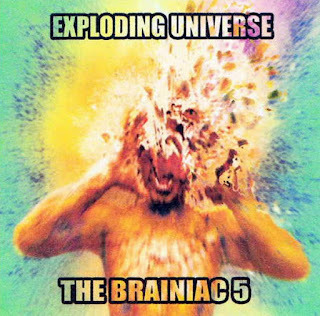 After setting their house in order with the widely approved career retrospective When Silence Was Sound, the reunited, reconfigured and reinvigorated Brainiac 5 return with Exploding Universe. 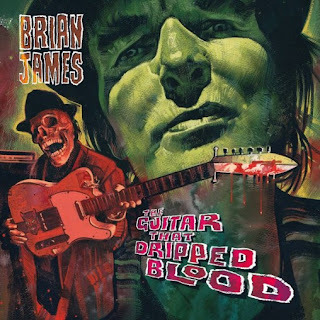 This new offering shows the enthusiasm and drive of those recordings have not been dimmed, and that the Brainiacs are still developing in new directions. Horns have now been added and a wider range of musical styles mined, yet this is still clearly very much a Brainiac 5 record, brimming with energy and invention. As before, few areas are truly off limits as they traverse their psych-punk blueprint through the neighbourhoods of funk, reggae and jazz on what is their most adventurous, yet focused, recording yet. Recorded at Alchemy Studio in Wood Green, North London, Exploding Universe features ten new songs performed by the Brainiacs’ nucleus of Charlie Taylor, Duncan ‘Mad Dog’ Kerr and John ‘Woody’ Wood plus drummer Wayne Worrell and Nick Onley on sax and flute, with contributions from Ethan Landis (Hackney Brass Band) on trumpet and percussionist Phil Overhead. It was lovingly mixed by their longtime engineer, Hawkwind’s Martin Griffin at his Roche Studio on the edge of Dartmoor. The album also features a cameo from founder member and renowned Cornish poet Bert Biscoe, alongside appearances from the equally renowned Gertrude Stein and G I Gurdjieff. Formed out of the ashes of free festival favourites the Half Human Band (also featuring Griffin), The Brainiac 5 made a name for themselves on the isolated yet thriving mid-70s Cornish pub, club and festival scene. Praised by the NME for their Mushy Doubt EP, the band made the move to London to enjoy the fruits of a gig circuit enlivened by punk. Yet despite sharing stages with The Soft Boys and The Barracudas and coming to the attention of the likes of John Peel and Alex Chilton, they split before their debut album World Inside could be released. The album eventually saw the light of day in 1988 via Reckless Records, also responsible for releases by such psych legends as Bevis Frond, Black Sun Ensemble and Mu. Fast forward to 2013 and the opportunity to reconvene the Brainiacs resulted in the Sun Ra-inspired Space Is The Place, a 10-inch EP of new recordings on Bucketfull Of Brains magazine founder Nigel Cross’s Shagrat label, garnering effusive reviews from the likes of The Wire and Shindig!, with the following When Silence Was Sound retrospective receiving similar praise from Mojo, Record Collector, R2 and Vive Le Rock magazines. The Brainiac 5 play a special all-day launch party at The Betsey Trotwood, London on Saturday 27 June with special guest Mark & The Clouds, Jowe Head and more. 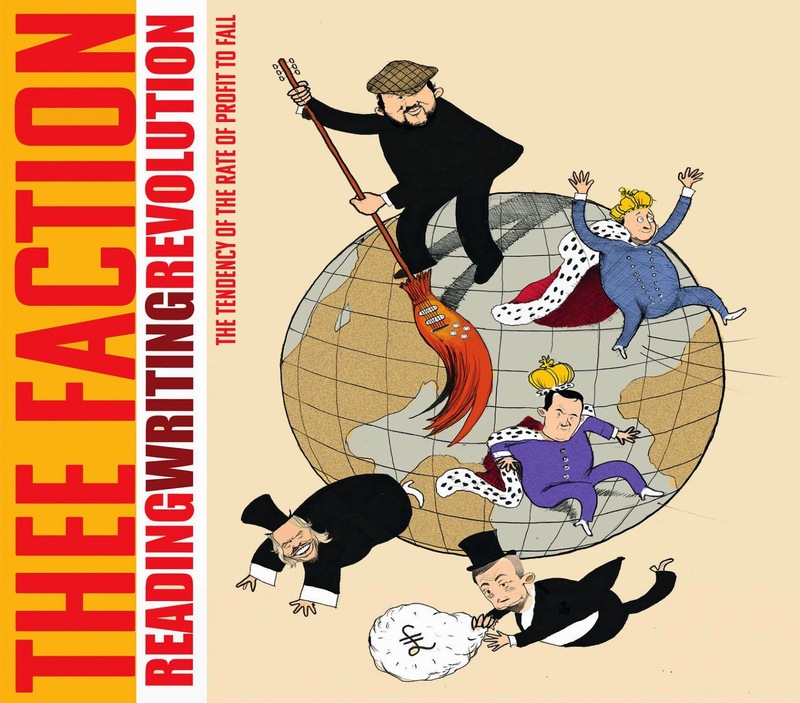 This is Thee Faction’s 5th album since re-appearing (as a result of the discovery of the At Ebbw Vale tapes) in 2010. They would be celebrating their 30th anniversary this year if that wasn’t so spectacularly bourgeois. Private capital tends to become concentrated in few hands, partly because of competition among the capitalists, and partly because technological development encourages the formation of larger units of production at the expense of small ones. The result: an oligarchy of private capital - the enormous power of which cannot be effectively checked even by a democratically organized political society. Members of legislative bodies are selected by political parties, largely financed or otherwise influenced by private capitalists who, for all practical purposes, separate the electorate from the legislature. So, representatives of the people have no need to protect the interests of the any other sections of the population but their paymasters. Private capitalists control, directly or indirectly, the main sources of information (press, radio, TV, internet, schools). It’s very difficult for the individual citizen to come to objective conclusions and to make intelligent use of politics. The artist, therefore must dissent, to provide a bulwark of criticism. Rock music has long been seen as a portal to intellectual freedom, but is, in fact, co-opted by capitalists and sold as a plastic rebellion. Large media organisations control music output, and therefore remove any art from it. This is why pop music is standardised. But you can take these traditional forms and add ANALYSIS. It’s pointless complaining. We must show the joy of freedom. The power of the class. Squares out! All wars traditionally have had marching bands and comradely singing, so why not the Class War? 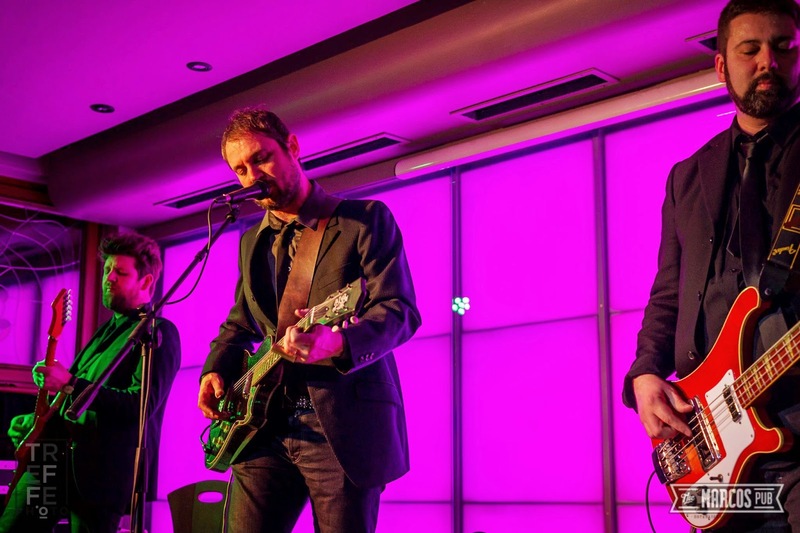 Following on from the success of their second album Banks Of The Lea, Italian blues-punks Stiv Cantarelli & The Silent Strangers return to the UK in May for four dates as part of their European Tour. They will then travel to the Netherlands and France (dates TBC). Stiv Cantarelli & The Silent Strangers’ second album Banks Of the Lea (released last October on Stovepony Records) was recorded on the banks of the River Lea at Gizzard Recording, Hackney Wick with producer Pete Bennett of noted Lancastrian post-punks Monkey Island and engineer (and studio owner) Ed Deegan (White Stripes, Mudhoney, The Fall, The Cribs, etc). The album received considerable praise in print and online media, including major features in Vive Le Rock, R2 and Tattoo Planet, and substantial airplay, including BBC 6 Music, Resonance FM, NTS and TeamRock. 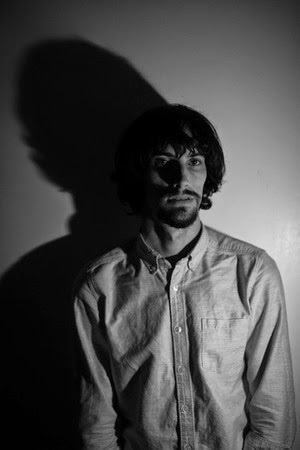 Stiv Cantarelli initially came to prominence as leader of Italy’s number one alt.country band Satellite Inn, who were recruited by North Carolina label MoodFood as a replacement for the ascendant Whiskeytown. 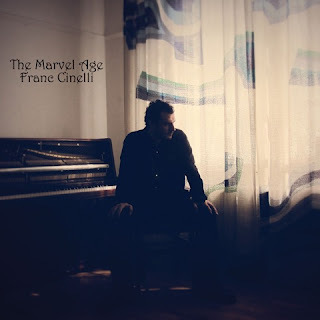 Touring the States intensively, Cantarelli became firm friends with Portland, Oregon roots legends Richmond Fontaine, releasing several records on their El Cortez label and employing them as his backing band on his solo debut Innerstate. It was this connection that found him at the wheel of a tiny Fiat beside Bob Mould for an Italian odyssey during the miserable winter of 2009. In the Silent Strangers, Stiv is joined by former Satellite Inn rhythm section Fabrizio Gramellini (bass) and Antonio Perugini (drums) along with Roberto Villa (guitar and sax). They released their debut album Black Music / White Music in 2013.